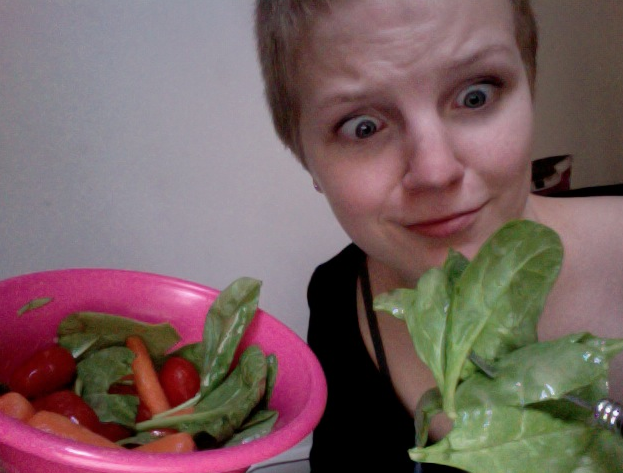 Okay, confession: this post isn't actually about eating habits. But it's about something that kinda works in the same way: writing habits. Procrastination. Time-wasting. First-draft fiddling. Complaining (to friends or cats). These things are all part of the writing life - just like pizza, Doritos, donuts, and fried Oreos are part of the eating life. (Well, the last one only once a year at the beach...mmmm) It's pretty much impossible to just step up and say one day, "Nope! No more procrastination for me, ever," just like it's pretty much impossible to say "Nope! No more sugar for me, ever." Also: when you 'mess up' and cave to temptation? Then it's like *guuuuiiiillttttselfhatred* - which doesn't really get you anywhere good, to be honest. But if it's just that you kinda don't wanna write right now, but you know you'll feel really good if you do, then focus on that part - that you'll feel really good if you do. A lot of people have the feeling that eating healthily is a total drag, and I think sometimes writers view writing the same way - as a drag, as that thing you need to do instead of something really fun and easy, like procrastinating on Tumblr. It's true, super true, that surfing Tumblr will give more immediate gratification than chipping away for two hours at an impossibly frustrating whole-manuscript revision, or [insert other, somewhat miserable writing task]. Procrastination and all the other Writer Junk Foods have a secret. They want you to think they make you happy, but - when it comes down to it - they actually make you sad. That doesn't mean said Junk Food is the enemy - just like pizza, procrastination can make life more awesome, enjoyable, and cheese-covered. But only when ingested smartly. When ingested too often, Writer Junk Foods trick you into thinking they'll make you satisfied and happy... and forgetting the fact that there's something out there, available to you for the taking, that's 1000x more satisfying and happy-making than a refreshed email inbox or another hour spent on Facebook: finishing that book. As a writer your obsession with it is like that of a constant tick that you just can't totally get rid of. It does something different to you each day - but never ever completely goes away. I try to go for moderation (with both eating and procrastination) but sometimes it's hard to resist temptation. I'm getting better, albeit very slowly. My eating habits are pathetic, but I do try to color coordinate my food choices. A bag of orange cheetos goes great with Reese's Peanut Butter cups (well, everything goes with Reeses!). Then I have my entirely "white" meals (I do have to be careful who is listening when I explain this): white rice, white bread and chicken. Pretty much my only meal that doesn't come in a package. I will sometimes eat a peanut butter bar that comes in a mostly green package with Mike & Ikes - and that is as close as I get to greens! I suppose my writing habits are equally disciplined. Luckily my critique group (all 3 of us) meet every Monday and I never miss and always have my 10 pages ready and always do my edits from their comments by Wednesday. I work very well with controlled structure, but set me loose and rules be damned! Balance, moderation, and a little bit of exercise. For food and writing. Good analogy. I am definitely stuck in a writing junk food, something I wouldn't do with my eating habits.